Both sides have won 1-0 in their home games in the two derby meetings this season after the away ticket allocations were slashed. But the former Liverpool captain gave short shrift to suggestions his players were heading into the “lion’s den” as they prepare to play in front of 59,000 Celtic fans and about 1,000 of their own on Sunday. 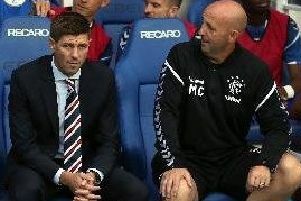 Gerrard said: “What do you mean by lion’s den? There’s not going to be any lions there, is there? It’s a football pitch, the same size as the one we play on at Ibrox. It’s 11 men versus 11 men. “I have never known a fan to win a football match. A set of fans can make noise and make the atmosphere very interesting for everyone that we can all enjoy. But it’s not a lion’s den. Gerrard added: “It’s an opportunity for the players to show our own supporters that they are out there playing for them. “Of course the atmosphere is going to be good and it’s all going to be with Celtic, and every cheer, every throw-in, every tackle is going to be on their side. “But Celtic had to put up with it when they came to our place. It’s life, that’s not going to change, we expect that. But you have got to thrive in that. It’s got to excite you. “If any in my squad are fearing that or don’t fancy it, they are at the wrong club. We need players that are going to really put their shoulders back and front that, and fancy it. I’d be so excited by it if I was a player. “I preferred (playing) the derbies and the games against Everton and Manchester United away. 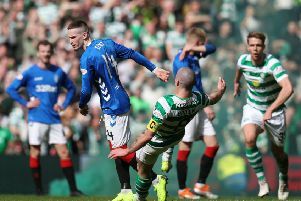 I thrived off the environment, the pressure, the intimidation, the verbals, just because it was always a better feeling winning a derby away from home. “That’s not to say I didn’t enjoy the ones at Anfield, but I was the type of player that looked at the fixtures and the away derbies were the ones I really liked. This is the mentality that players have got to have. “We can’t think ‘we haven’t got many fans here, no-one’s cheering us’. The players have got to stick together, pull each other along. “There’s going to be moments when we’re under it, but we have to have the mentality and show leadership and communication out there because once the game has started, it’s very difficult to get information on. “So I’m relying on my leaders in the team to all stick together, believe in themselves and go there and give the best account of themselves. Rangers sit 10 points behind the Ladbrokes Premiership leaders and Gerrard admits tomorrow is their last chance to get back in the title race with seven more games left.